Now that Jonah is getting bigger and more mobile, I've found a bit of a guilty pleasure in deliberately buying both boys matching outfits to wear. I know it screams 'cliche mom' but something about seeing both my littles dressed identically is just irresistible to me! It throws me back to the time when my mum dressed my older sister and I in matching outfits too. As a child, I relished being able to copy my big sister and I remember the occasions when mum did the big seasonal shopping trips for our clothes; Maria and I would have all the same stuff, just in different sizes to match our ages! It feels a bit strange reminiscing back to those days and now being in the same position myself of doing the 'big seasonal shops' for my own boys. 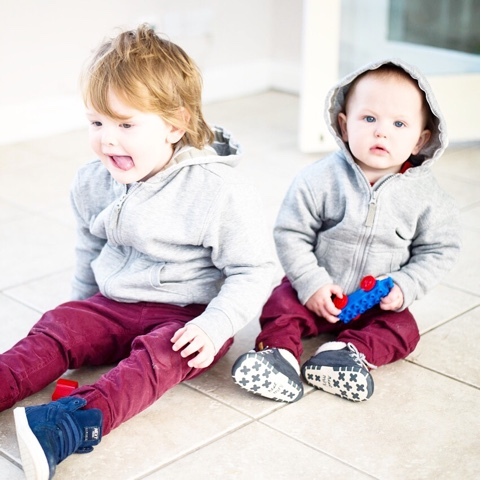 So far though, I'm loving pairing the boys in similar clothes, it definitely makes it much easier to keep an eye on them when we're out and about! I tell you, there is method in the madness! Mamas, do you match your little one's outfits? 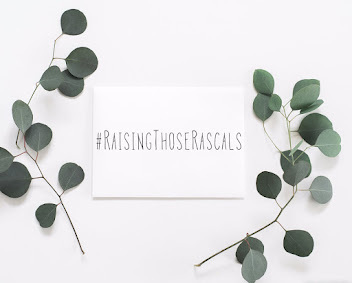 Tag your photos on social media with #RaisingThoseRascals, I'd love to see them all! Jonah's week in facial expressions! Goodbye scatter brain, hello Kate Spade!